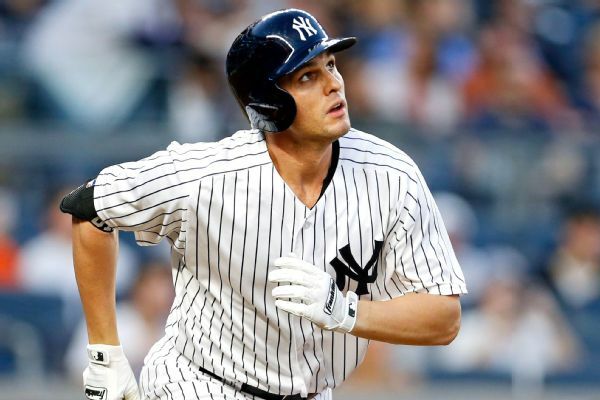 The Yankees plan to activate first baseman Greg Bird from the disabled list before Saturday's game against the Angels, forcing the team to make a difficult roster decision. 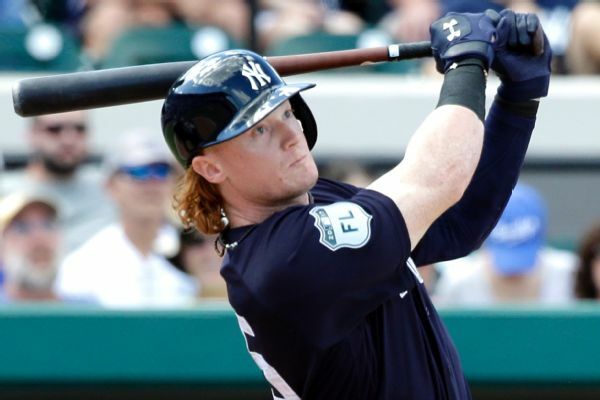 The Yankees optioned outfielder Clint Frazier to Triple-A Scranton/Wilkes Barre after Sunday's game. So, about all that hype heading into the year? It's time to buy in. 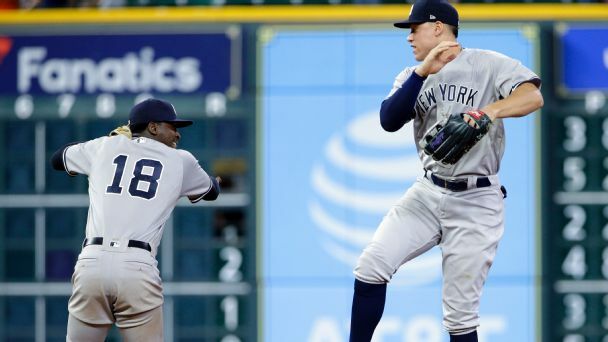 The Bombers -- after a slow start -- are proving they're the real deal. 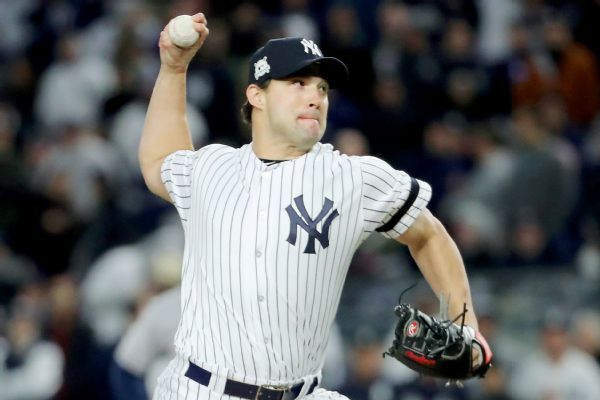 Yankees reliever Tommy Kahnle was placed on the 10-day disabled list Tuesday with right shoulder tendinitis. 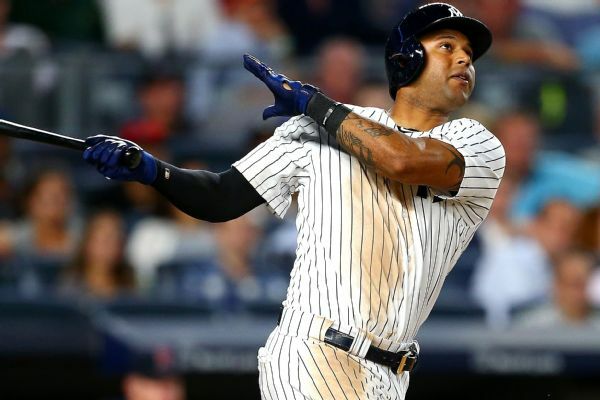 Outfielder Aaron Hicks agreed to a $2,825,000, one-year contract with the New York Yankees, who settled with reliever Tommy Kahnle at $1,312,500 in the first deals among the team's eight players eligible for salary arbitration. 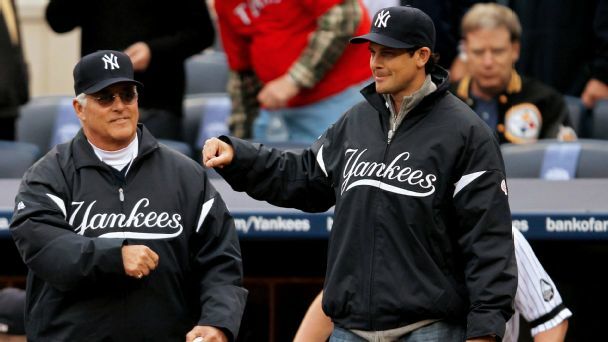 There will be a rookie manager in the Yankees' dugout next year, but with a ton of young talent and a hungry fan base, the pressure will be intense. 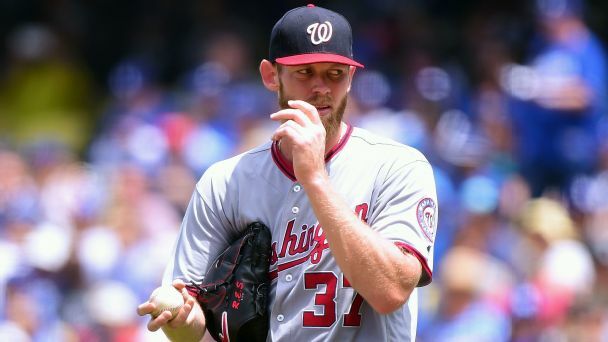 Your guide to Wednesday's LDS games: Strasburg is in! 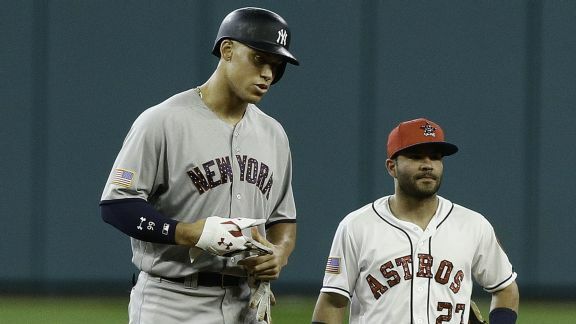 Will Encarnacion also play? 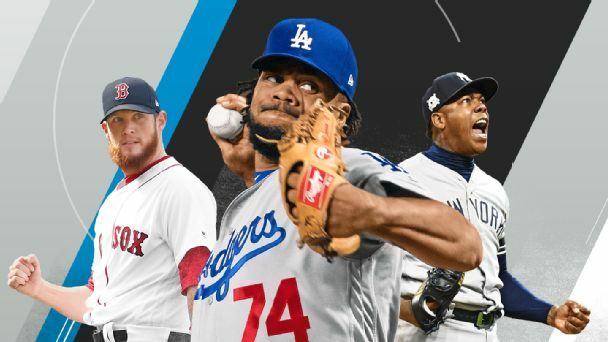 Washington needs a last-minute switch to its NLDS Game 4 pitching plan to pay off while Cleveland hopes Edwin Encarnacion can come back to power a return to the ALCS.